Ideal for confined spaces, spot leak testing and mobile use, Applied Techno Systems portable gas detectors are marked by flexibility and quality. A variety of single or multi-gas detectors are offered in compact, lightweight designs— from simple alarm-only units to advanced, fully configurable and serviceable instruments. 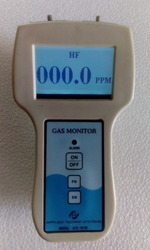 Manufacturer & Supplier of a wide range of products Such as Gas Leak Detection Systems, Gas Monitoring Systems, Gas Monitor, Portable Gas Monitor, Handheld Gas Monitor, Toxic gas Monitor, Explosive Gas Monitor, LEL Gas Monitor, Combustible Gas Monitor, Oxygen Gas Monitor, Fixed Gas Detection System, Portable Gas Detector, Hydrogen Gas Monitor, LPG gas Leak detector, Ammonia Gas Leak Detector, Ultrasonic Leak Detector, VOC Monitor, Oxygen Monitor and many more items. 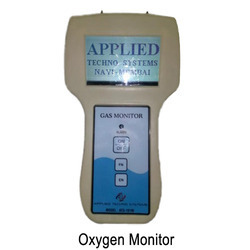 Applied Techno System Having immense domain expertise, we are able to manufacture, export and supply an excellent grade range of Ammonia Gas Leak Detector. 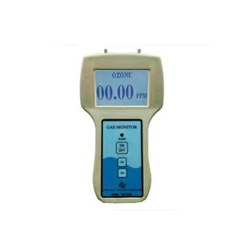 This detector is used in Power Plants,Processing Plant,Chemical, Pharamceuticle, Oil & Gas Refinery, cement, plants and chemical industries for detecting the presence of Ammonia. 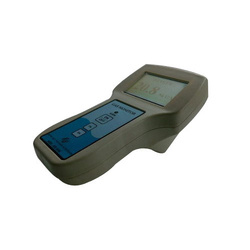 Manufactured and checked on quality parameters by our adept professionals, this detector is known for flawless functioning. 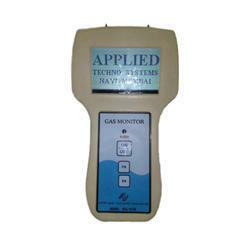 Within promised time frame, the offered Ammonia Gas Leak Detector can be purchased from us at reasonable prices. Principle: Electrochemical, Solid State Semiconductor and PID (Photo Ionization). Range: %V/V, %LEL, PPM, PPB or mg/M3. Resolution: 0.1 Unit or 1 Unit (Application based). 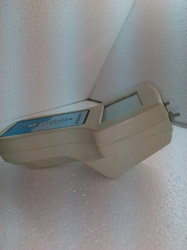 Display: 128 X 64 Graphics LCD. A Compact Rugged & Intelligent Instrument for..
we are leading manufacturer of portable gas montor detector since last several years. 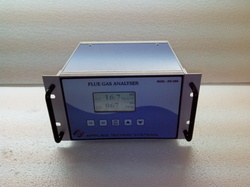 Microcontroller based gas monitor detector can measure up to 5 gases on a single graphics display window. We are an acclaimed name engaged in offering our precious clients a superior quality range of LEL Gas Monitor. Our offered monitor is manufactured by our experts using high grade raw material and advanced technology in conformity with the industry quality standards. In addition to this, our provided monitor undergoes different tests under the supervision of quality controllers to ensure its excellence at clients' end. 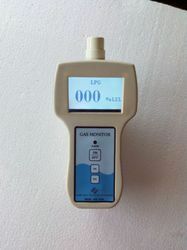 It is portable single gas detectors are capable of detecting Methane ,Oxygen, Toxic, and Combustible gases making them ideal for use in various environments. Clients can avail these tanks from us at market leading rates. In line with clients' diverse requirements across the country, we are offering an excellent range of Methane Gas Monitor. This monitor is designed at our advanced manufacturing unit using the best quality components and latest technology in conformance with defined quality standards. It is used to industrial hygienists, occupational health and safety personnel and indoor air quality professionals to assess air quality in the workplace in accordance with state and national guidelines. Being a quality-oriented organization, we assure our clients that this monitor is excellent on counts of durability and quality. Diffusion or Auto Suction Sampling Mode. Zero Calibration: Automatic at instrument start up with fresh air sample. 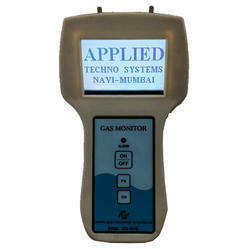 We are an acclaimed name engaged in offering our precious clients a superior quality range of Portable Gas Detector. It is capable of detecting Oxygen, Toxic, and Combustible gases making them ideal for use in various environments. 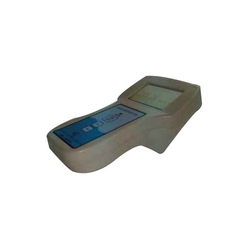 This detector is manufactured using best grade raw-material and sophisticated technology in synchronization with industry standards. In order to make sure quality, the entire range is scrupulously tested on different parameters by our quality examiners. Keeping in mind the diverse necessities of our clients, we provide the entire range in various sizes and specifications and at affordable prices. Data Storage: 1000 or 10000. 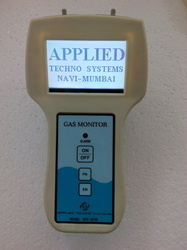 Portable Multi Gas Leak Meter - Model ATS 103M Manufacture in India. Applied Techno Systems offer the latest and most innovative monitors available for confined Space Entry (CSE) known as Confined Space Monitors. 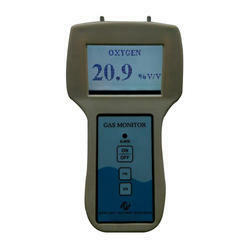 Data logging is an option on all our multi –gas monitors. Atmospheric hazards in a confined space are those that expose entrants to a risk such as death, entrapment, injury or acute illness from one or more of the following causes. 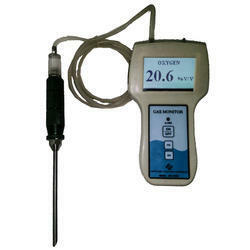 The Applied CSE monitor is pre-set as an easy to use tool to comply with atmospheric testing. The APPLIED offers the flexibility to work effectively in a confined space while remaining protected from Oxygen combustibles, hydrogen sulfide, carbon monoxide and high or low oxygen levels. Combustible gas-air mixtures can be burned over a wide range of concentrations. For each there is a specific minimum concentration above which an ignition source will cause an explosion or flame front propagation. This is called the Lower Explosive Limit (LEL) of that gas or vapor. It is sometimes called the Lower Flammable Limit (LFL). The LEL is different for every gas. For most CHC’s, this minimum concentration varies from about 0.5% to about 15% by volume in air. This concentration represents 100% on the Delphian system. Some combustible gases are lighter than air, some are heavier. 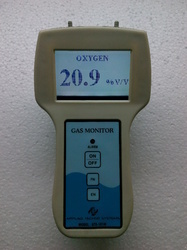 Be sure the characteristics of the gas are known before attempting to monitor it or enter an area containing the gas. Typical alarm settings are: Low alarm = 20% LEL, High alarm = 40% LEL, High-High alarm = 60% LEL. Only the user can judge whether these settings are appropriate.